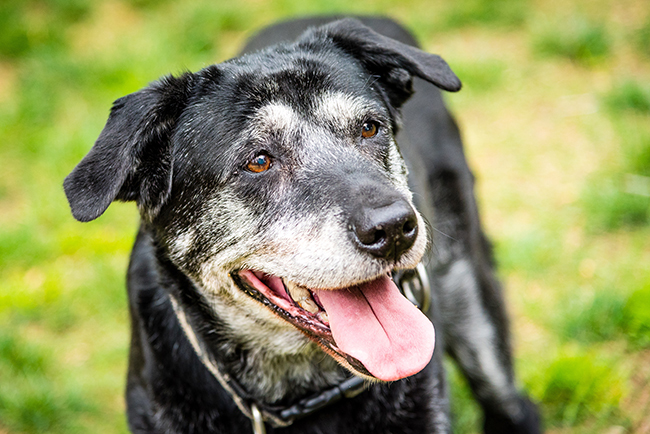 Dogs’ bodies change with age, just like human bodies do. Some dogs don’t see as well as they used to. Others don’t hear as well, or have a hard time determining the direction of sounds. The best way to manage these changes is just to be patient. Some dogs develop Cognitive Dysfunction Syndrome. This is the canine equivalent of Alzheimer’s disease. The risk of Cognitive Dysfunction Syndrome decreases with a healthy diet, exercise, mental stimulation as well as physical, and human contact. Dogs with the syndrome may appear disoriented and confused in everyday situations. They can get lost in familiar spaces such as the house or yard, get stuck behind furniture and fail to remember they can back out of there, or have problems finding the front door. All these problems can be caused by a loss of vision or hearing as well, so it’s important to go see a veterinarian to get a proper diagnosis. You can help your dog better if you know exactly what the problem is.